Want to receive 25% off regular session fees for the month of October? 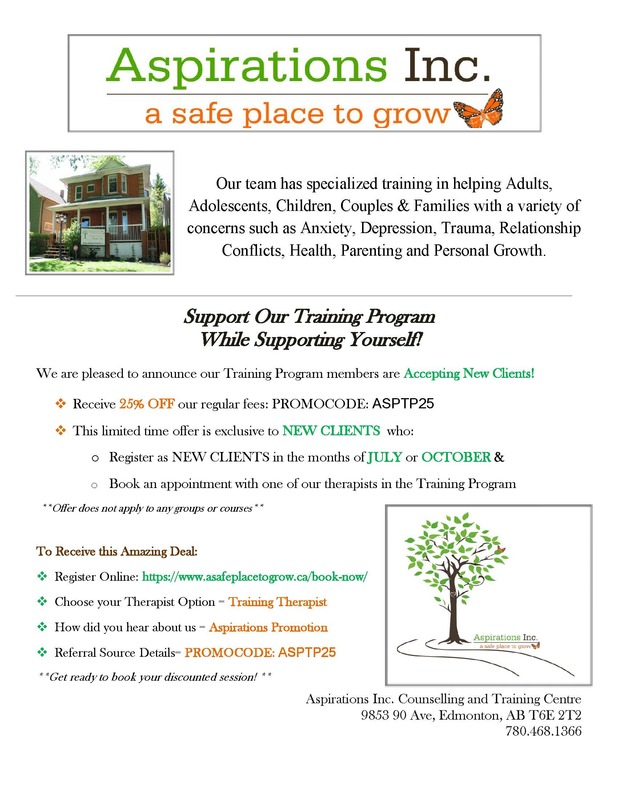 BOOK NOW with one of our amazing training therapists who are supervised by Lynne Kostiuk to start a better, healthier, more positive lifestyle for yourself today! Use the PROMO Code on the poster to recieve this amazing offer!